Swanton’s Zack Zawodni, top, takes on Austin Szczublewski of Rossford during the regional dual meet Saturday in Genoa. He fell by an 8-6 final. Cody DeKoeyer of Swanton looks to escape a hold from Zoe Hussar of Rossford during wrestling action Saturday. DeKoeyer pinned Hussar in 1:47. GENOA – Swanton’s attempt to go back to the Division III dual state finals hit a roadblock as the Bulldogs won a match, then suffered a 67-12 loss to the defending Division III state champions in Genoa Saturday. 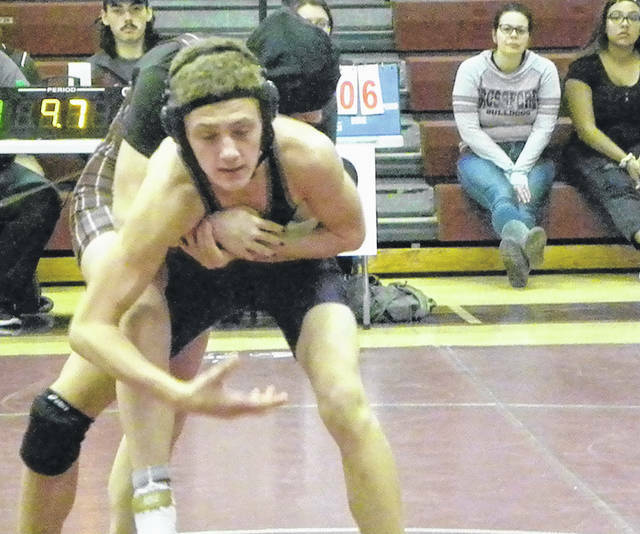 Entering the regional hosted by Genoa, the Bulldogs got off to a fast start in defeating Rossford 48-33 in the opening round of the dual meet regional championship. Zach LaPlante (113) and Zeth Zawodni (120) won by forfeit as Swanton took an early lead. The Bulldogs jumped to a bigger lead when Zach Schaller (:48) and Cody DeKoeyer (1:47) added first period pins. Only six matches were wrestled in the opening-round dual. Zaven Waddell (285) added a pin in 1:25 for Swanton. The only match to go longer than one period was highly competitive. 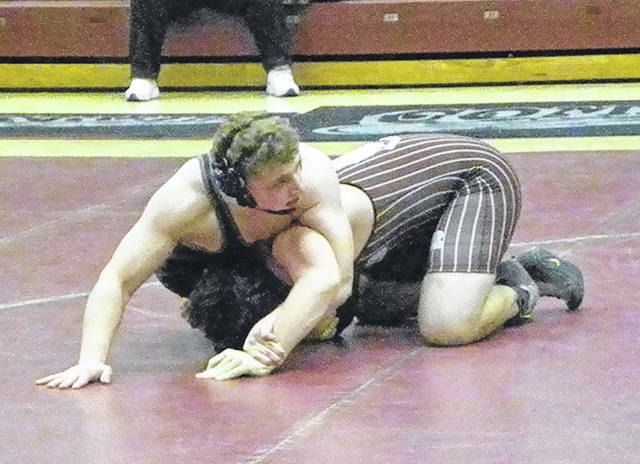 At 182 pounds, Zack Zawodni lost in overtime to Rossford’s Austin Szczublewski, 8-6. Tyler Gowing (145), Connor Cass (195) and Jacob Cambell (220) won by forfeit for Swanton. Taking on a Division III power and the reigning state champions, the Bulldogs battled, but fell 67-12 to the Comets. Schaller (126) and Gowing (170) won by first-period falls to score the 12 points for the Bulldogs. LaPlante had a battle, forcing overtime after a late reversal, but Corey Welsh had the first takedown in the extra session to win the 113-pound bout, 8-6. Genoa went on to defeat Otsego 60-13 and Eastwood 61-16 to win the regional. The Swanton wrestling team will take a couple of weeks off to prepare for the Northwest Ohio Athletic League meet Feb. 16 in Wauseon.